Stamping with Julie Gearinger: ODBD September 2016 New Release and Blog Hop! 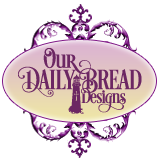 Welcome to the Our Daily Bread Designs September 2016 Release!! Summer is coming to a close here in the Northeastern United States and this release is perfect for crisp Autumn days as well as year-round cards! My first card features the new ODBD A-Maize-ing stamp set, ODBD Dies- Indian Corn Die, Rectangles Dies, Double Stitched Rectangles Dies, Filigree Frames Dies, Flourished Star Pattern Die and the ODBD Rustic Beauty Collection 6x6 Paper. I absolutely love this Indian Corn image in the ODBD A-Maize-ing stamp set and the coordinating ODBD Indian Corn Die matches it perfectly! My second card features the new ODBD Seasons Change stamp set, ODBD Dies- Wheelbarrow Die, Lavish Layers Dies, Ornate Ovals Dies, Rectangles Dies, Flourished Star Pattern Die, Pierced Squares Dies along with the ODBD Shabby Rose Collection 6x6 Paper. **Creative Tip ** I used the ODBD Pierced Square Dies (stacked two together) to cut out the frame to make the photo corners. I loved using watercolor pencils to watercolor both images on the cards and the ODBD coordinating dies were so easy to match up to the images- in fact, the ODBD Wheelbarrow Die even cut the spokes on the wheel perfectly! Three randomly selected winners will each receive a $25 Gift Code to the ODBD Website just for commenting on the Design Team cards! You have until September 2, 2016 at 9:00 p.m. EDT to leave your comments on the Designers Blogs for a chance to win! The Winners will be posted on the ODBD Blog on September 3, 2016 so be sure to check back there to see if you won! Thanks again for stopping by- hugs and have a blessed week, my friends! The cool background makes the wheelbarrow pop. Love the coloring, I think I don't have the patience. Gorgeous bountiful harvest!!! LOVE your card. I think both of your cards are amazing. My favorite is the second card. It is elegant, yet simple and I can see it used for Thanksgiving, Birthday, Inspiration or, really almost any event or need. I love how everything came together in this card. WOW! Such beautiful cards! I especially like the deep, rich colors you achieved on your second card. Beautiful cards and a great reminder that fall is on the way. Thanks for sharing your work with us! Beautiful Autumn cards. I love your photo corners tip. I'll have to give that a try. Thank you for sharing your creative gift with us. I like to do Thanksgiving cards, and both of these stamp/die sets would be great for that. You've shown them off well in your cards - and I appreciate your photo corner tip, too! These are both such lovely fall creations! Your coloring is gorgeous. Loving the font on these greetings too. LOVE what you've done with these! That fab Indian corn looks almost real!! Love your roasted looking Indian corn, so beautiful with the purple and the paper is perfect with it Julie!!! Gorgeous! I love your wheelbarrow card too! Love the reddish fall asters, I have some of those in a wine barrow in my yard!! Both of your cards are so beautifully done. I can't pick a favorite. I love the nicely colored Indian corn, but the fall wheelbarrow is equally pretty. Oh my that Indian corn card is just stunning. Your coloring is beautiful. Love these Fall colors. Great coloring and choice of dies. You colored these so prettily! Great job! Hi Julie...what beautiful cards you have created...I just love them both...the new sets are awesome. very pretty cards! I really like your coloring of the Indian corn image and pairing it with the wood panel background, lovely fall colors! Just beautiful work Julie. I love the purple on the Indian Corn in your first card, so pretty and the wheelbarrow is awesome. Beautiful job! Your detail on the corn is amazing. That is such a beautiful card. I love the rich warm colors your used in the fall designs. Both cards are beautiful. Both of your cards are gorgeous Julie!! I just love your rich coloring and the realistic look of your Indian corn. I can picture it hanging on my door!! Your second card is also colored to perfection but looks so elegant with your layering and the soft colors. Stunning cards my friend. Both of your cards are amazing. They make me ready for Fall and cooler weather. thank you and Happy Fall! I love your amaize-ing coloring!! I love both of these stamp sets, and you showcased them beautifully! Makes me longing for fall! Both cards are quite attractive Julie! Love your use of the beautiful die cuts! What beautiful fall cards. Thanks for sharing! Oh, Julie! What beautiful cards you have created! The Indian corn brings back so many childhood memories. It was like 'Christmas in a husk'. Every ear was different and held a gift of multi colored kernels as you peeled back the husk. Your second card is equally gorgeous. Love the tip for the corners. Do you have a favorite kind of watercolor pencils that you use? What kind of paper did you stamp your wheel barrel on? I am giving Thanks today for you...for your faith, your gifts, and for who you are! You are a blessing! Beautiful cards!! Love the corn stamp! Beautifully colored! Wonderful cards. Your coloring is fabulous. I really like how your image in the second card pops against the soft green background. Just lovely. You've given me a few ideas. Thanks. Great cards! I love that Indian corn stamp a lot! Love the rich, warm colors on your beautifully colored Indian corn card and the wheelbarrow full of fall's bounty is just gorgeous! Both cards are stunning, Julie! gorgeous!! love that wheel barrow stamp and die, and the sentiments! Gorgeous and fabulous cards, Julie! Love your coloring! Beautiful samples, Julie!! Fab coloring on both images, great design too! !